Unlike many strains of mold, Geomyces pannorum grows well in cool environments. This yellowish-brown mold can be found throughout the northern hemisphere, including the United States and Canada. Outdoors, it is often found in soil. Indoors, it is often found on floors of all kinds and on paper, walls, and mattresses that have suffered water damage. It is also commonly found around indoor swimming pools and in gymnasiums. Like all strains of mold, this one can cause respiratory problems if the mold spores are inhaled. Unfortunately, mold spores are microscopically small, very lightweight, and easily become airborne. It is not difficult to inhale them and in fact, when there is a lot of mold present in the home, it is difficult to avoid inhaling them. 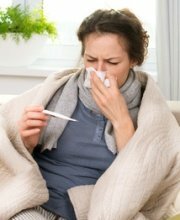 Symptoms of mold-related respiratory problems might include a runny nose or a stuffy nose, coughing, sneezing, wheezing, headaches, and a sore throat. People with asthma may experience an increase in symptoms or have asthma attacks more often. Some people are allergic to mold and an allergic reaction may cause an itchy rash or hives in addition to respiratory symptoms like those described above. Severe allergic reactions are rare but can cause difficulty breathing. This type of mold can also cause skin infections and infections of the toenails and fingernails. While those infections are usually not serious, they can take quite a while to clear up, even with medical treatment. Serious mold-related health problems usually occur in people with respiratory disorders such as asthma or other breathing problems or in people with compromised immune systems. 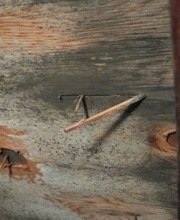 Skin and nail infections due to this strain of mold have been known to occur in otherwise healthy individuals, however. Are Your Symptoms Caused by Geomyces Pannorum? It can be really hard to tell. 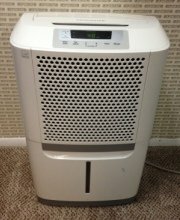 Lots of things can cause these kinds of respiratory problems, including other strains of mold (there are more than 300 different strains of mold sometimes found in homes in the U.S.), allergies to grass or pollen, allergies to pet dander, allergies to dust, sinus infections, asthma, and even the common cold. Skin infections can be caused by other types of mold and by bacteria. Fingernail and toenail infections can be caused by other types of fungus, including ringworm. If you're experiencing symptoms you think might be related to mold exposure, see your doctor. If you're having difficulty breathing or if you have an asthma attack that doesn't respond to your usual treatment, go to the nearest emergency room or call 911. Be sure to let your doctor know if you've been exposed to mold and think that might be causing your symptoms. If you know what kind of mold is in your home, tell your doctor. You won't know for sure unless you've had the mold tested, and in most cases, the Centers for Disease Control and Prevention (CDC) says it's not necessary to test mold because all types are potentially harmful and need to be removed as soon as possible. Much of the time, it doesn't really matter what strain of mold it is. If, however, your doctor feels knowing what kind of mold to which you've been exposed is important in terms of making a diagnosis or treating your condition, or if you want to know what kind of mold is in your home for some other reason, you can have the mold tested. Note that the U.S. Environmental Protection Agency (EPA) suggests having your home tested for mold after you've had mold removed, not to find out what kind of mold was there (there shouldn't be any mold there if you've just had mold removed), but to make sure all the mold has been removed. You can read more about mold testing here. 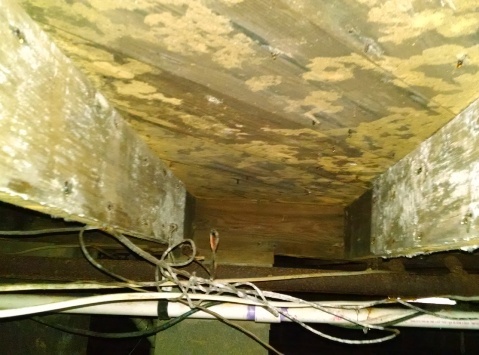 Whether you have Geomyces pannorum or some other kind of mold in your home, it needs to be removed, and the sooner, the better. Whether you plan to handle the mold removal yourself or want to hire a professional to do the job for you, we suggest scheduling a free consultation with a mold remediation professional. An experienced professional will visit your home, make sure you've located all areas of mold, and explain what work needs to be done. Even if you opt to do the work yourself, you can benefit from some free advice from an expert in the field. There is no cost and no obligation on your part. To find qualified mold remediation professionals offering free consultations in your area, just follow the link.